Almost all pet owners in (place) and beyond have all the reasons to justify why their dog is no doubt the best and most intelligent friend humans can have. Well, they are right, dogs are not just friendly and intelligent but also ferocious and honest and that makes them very likable. But the same dogs can also be a little messy. You might have given your dog or puppy the best of training but there will always be occasional moments when the bowels get lax and they end up answering to nature’s call right on your beautiful lawn. Sometimes you might just let them play outside because their health, after all, depends on how active they are but also keep in mind they might end up digging up flowers, plants or shrubs and this could lead to damages. Most animals, dogs included, are sensitive to the chemicals contained in fertiliser. Even human beings are as well. A lawn that has been sprinkled with fertiliser can end up causing not just allergies but severe effects to the dog. 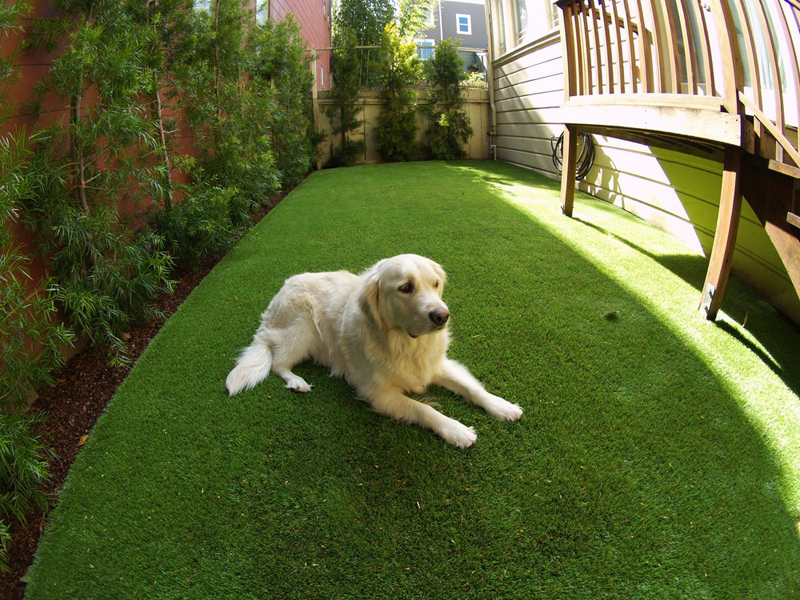 Fake grass is without any of that making it pretty safe for your dog healthwise. Besides that, artificial lawns often have a special padding fixed underneath it for cooling purposes and so your god can jump and roll on it without the fear that it could overheat and lead to discomfort. Dogs love to play and when they run back into the house they could come bearing dirty paws, thanks to your muddied lawn. But unlike live grass that will often require a heavy sprinkling to take care of its health, fake grass only requires little sprinkling to keep it clean so expect no mud which means expect your dog to run back into the house looking as neat as it left. Also important to note is that fake lawns are permeable which implies they are able to allow water as well as solid waste to automatically drain through it. And if your dog likes to dig up the ground, never mind when you have this kind of lawn installed as most have enough proof against such damage. Growing a natural lawn to the point where it’s lush, green and luring takes a reasonable of time. As you are well aware, dogs require exercise for various reasons and if you don’t live close to a park, then you will have adifficult time helping your dog to exercise. If anything you could end just pacing up and down the perimeter of its kennel which is pretty unfortunate. An artificial turf, however, comes ready for play and installing it can be done in amatter of hours or days depending on factors such as space. Once laid, your dog is going to have plenty of space to run up and down. So all credit goes to synthetic turfs for assisting pet owners and their little friends get an equal share of this happiness. 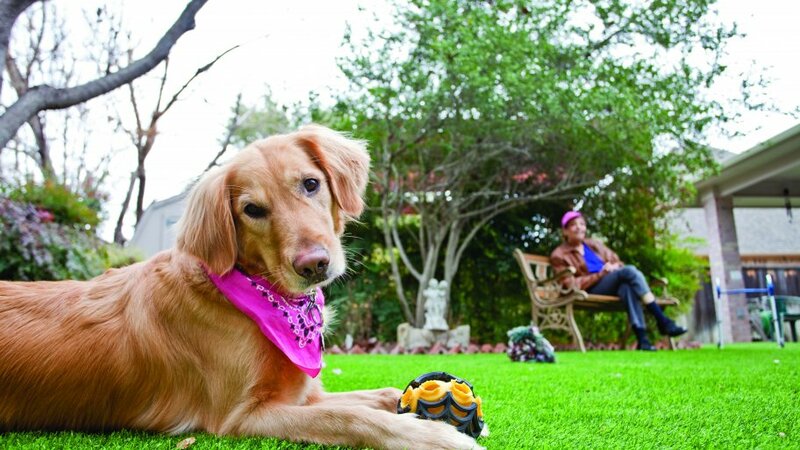 Whereas the homeowner is going to celebrate over their lush, neat and healthy-looking turf, the dog is going to have a friendly turf to play and hang ground. So are you a dog owner in (place)? 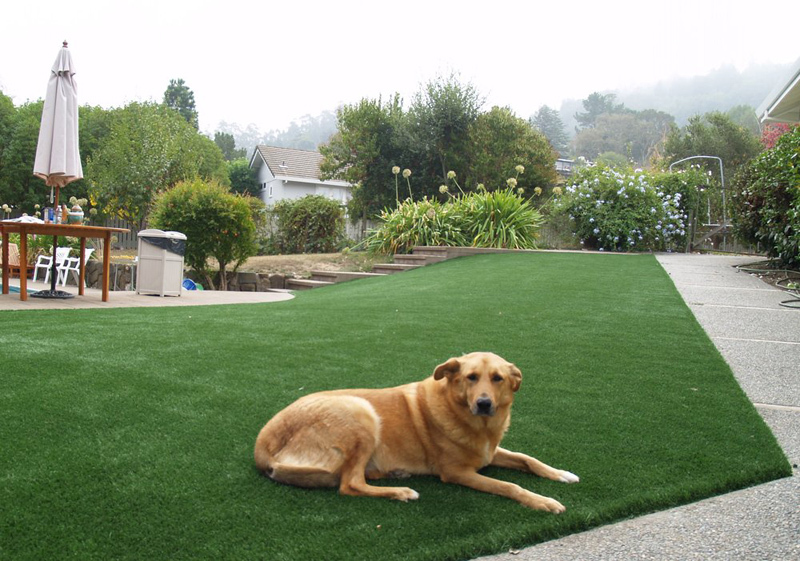 You definitely need to have this turf installed for your own good and that of your pet.